The ZIL-131 is a general purpose 3.5 tons 6x6 army truck designed in the Soviet Union, the basic model being a general cargo truck. Variants include a tractor-trailer truck, a dump truck, a fuel truck, and a 6x6 for towing a 4-wheeled powered trailer. The ZIL-131 also serves as a platform for the 9P138 rocket launcher, a 30-tube variant of the BM-21 "Grad". 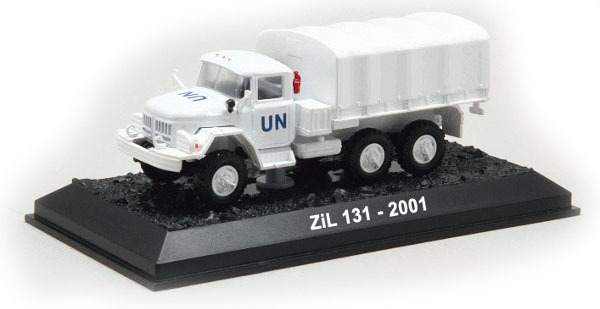 The ZIL-131 is part of a family of two trucks sharing identical components by ZIL, which also included the ZIL-130. Both trucks were introduced in 1967. The ZIL-131 6x6 has the same equipment as the GAZ-66 and Ural-375D.